Lexington Oaks was establish ed in 2000 and is a quaint 90-home subdivision tucked away within the Trussville city limits with convenient access to Trussville and Birmingham. Click here for the Lexington Oaks HOA Info. Below you will find a list of the Lexington Oaks Homes for Sale. 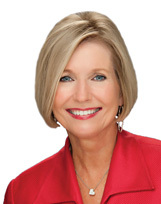 Bonnie Hicks is a Trussville Real Estate Agent and full time Realtor for over 24 years. If you are considering selling your home or buying a new home, give Bonnie a call at 205-915-7653.